Blueberry anthocyanin, arbutin, ursolic acid, oligomeric proanthocyanidines (OPC), capsicum red, capsaicin. IQF lingonberry, IQF blueberry, IQF blackcurrant, IQF red raspberry. Lingonberry concentrate, blueberry concentrate, blackcurrant concentrate. Black currant powder, blueberry powder, lingonberry powder. Blueberry anthocyanin, lingonberry red, capsanthin, lycopene, beta-carotene. 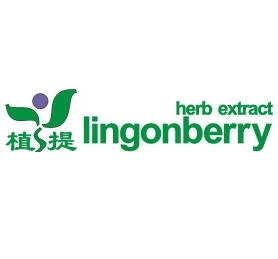 (sales9 at lgberry dot com dot cn)Daxinganling Lingonberry Organic Foodstuffs Co., Ltd. is a high-tech enterprise specializing in plant extract and foodstuffs. Our factory is located in Daxinganling City, the north part of China. Daxinganling is the only place where the natural environment remains undestroyed in China. This is why we can get thousands of wild plant materials, absolutely natural. Our company was founded in 2002, and registered by Administration Bureau for Industry and Commerce. Our fixed assets is 9.2 million RMB, annual revenue 10 million RMB, our factory covers 50,000 square meters with 125 employees and 22 technology engineers work for it.